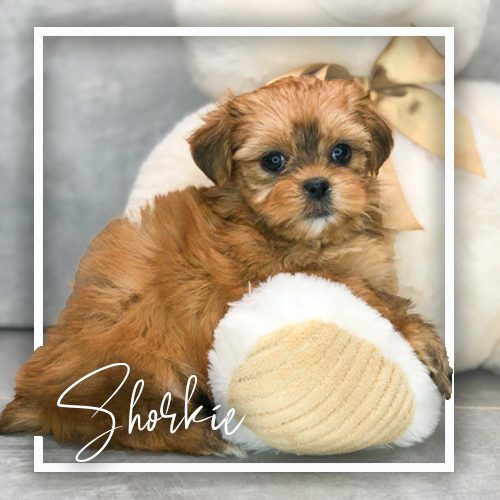 The Shorkie Tzu is a hybrid breed resulted from the cross between the Yorkshire Terrier and the Shih Tzu. It is admired for its devotion and playfulness. It considers itself a giant dog and acts protectively. It is a ball of energy, devoted and tender. It is colored in various nuances and has an amazingly long and soft coat.